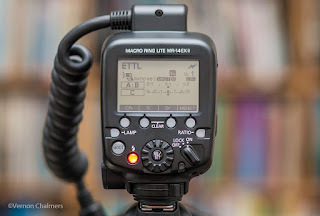 The latest of Canon's two Ring Lite flash units arrived from Canon SA on my desk in Cape Town this morning. The Canon Macro Ring Lite MR-14EX II flash unit is the most advanced macro flash Canon has produced to date. The other Canon Macro flash unit available is the Canon Macro Twin Lite MT-24EX. 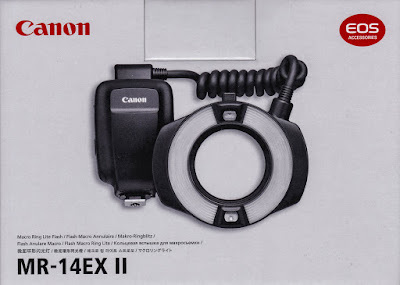 'The Canon Macro Ring Lite MR-14EX II is a flash for shooting close-ups with Canon EOS cameras, compatible with E-TTL II / E-TTL / TTL autoflash systems. The flash unit is equipt with various functions suitable for a wide range of shooting objectives, from simple shooting to advanced shooting. [P. 2]"